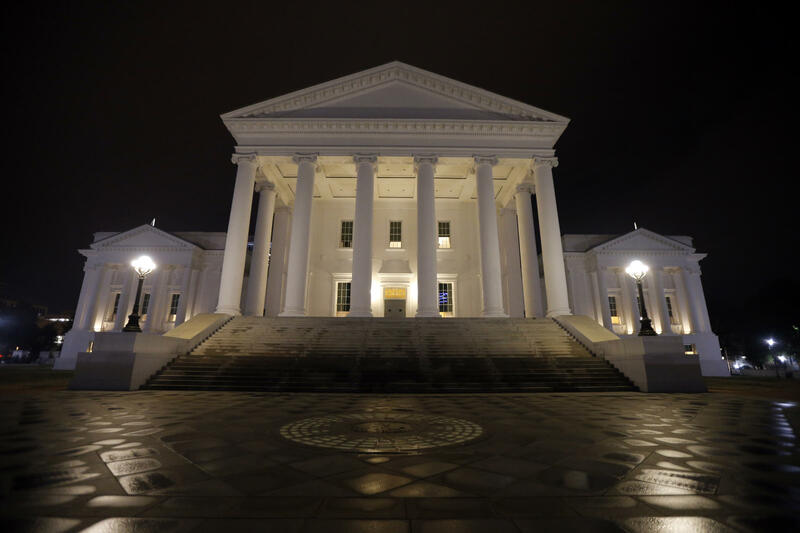 Now that every statewide elected official in Virginia is fighting to stay in office, many people are wondering about Virginia’s line of succession. Article Five Section Sixteen of the Virginia Constitution is titled Succession to the office of governor. It says that if the office of governor becomes vacant, it’s filled by the lieutenant governor, then the attorney general, then the speaker of the House. Quentin Kidd, a political analyst at Christopher Newport University, says the threat of Republican House Speaker Kirk Cox somehow becoming acting governor is looming over this three-ring circus. The State Capitol is illuminated in Richmond, Va., Wednesday, Feb. 6, 2019. Three of the top elected Democrats in the state are embroiled in controversy. “That may change the calculations of Democrats and it oddly enough may strengthen the hand of the governor in terms of staying in office because Democrats may not be willing to have all three offices vacant so that Republicans fill the void,” Kidd Wednesday. “That’s why I think the pressure on Northam to leave office is dramatically reduced in the wake of these latest subsequent scandals,” Farnsworth surmised. After the speaker, the line of succession in the Constitution gets a little murkier. The House gets to appoint someone to be acting governor. Or in a doomsday scenario, if the House can’t meet, the president pro temp of the Senate or the Senate majority leader can step in.